If you were one of the players of Warhawk—the spiritual predecessor to upcoming action/strategy hybrid Starhawk— Lightbox Interactive knows that they owe you one. Many members of the Warhawk team from developer Incognnito wound up at Lightbox Interactive, with another chance to iterate on the some of the massive action mechanics that they explored in the 2007 downloadable PS3 game. Dylan Jobe and his fellow Incognito alumni want to reward those who supported their earlier game by giving them a peek at the new PlayStation 3 title. 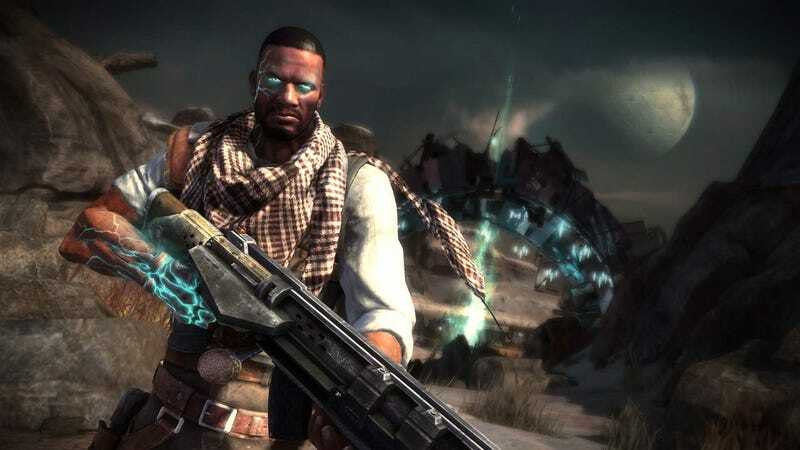 As announced on the official PlayStation blog, there'll be an exclusive private beta for Starhawk in November, with players who've done well in Warhawk ranking or community forums getting first dibs at the multiplayer action. This is presumably in advance of the public beta that you can get access with purchase of Uncharted 3. What's more, those OG Warhawkers will be able to talk to members of the development team and give them feedback that will go into tuning of Starhawk. This beta will be one of the first non-event appearances for the highly anticipated game so if you gave Warhawk some love, get ready to get some back from its successor.